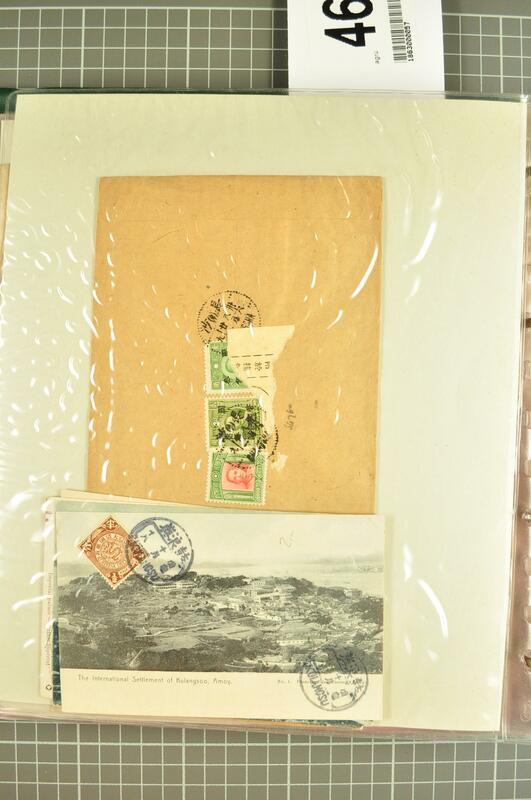 1898/1950c. 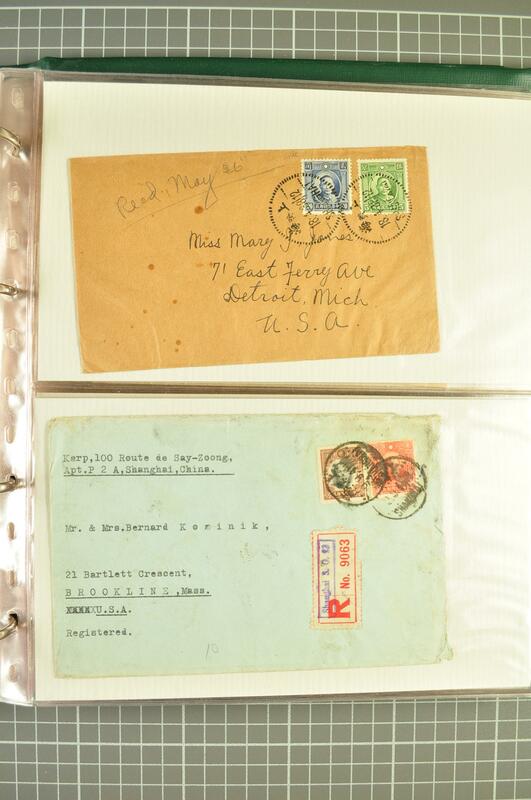 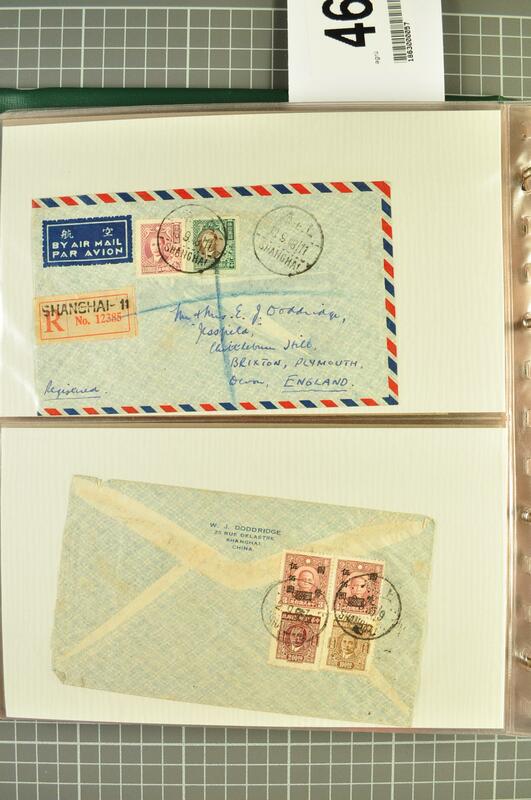 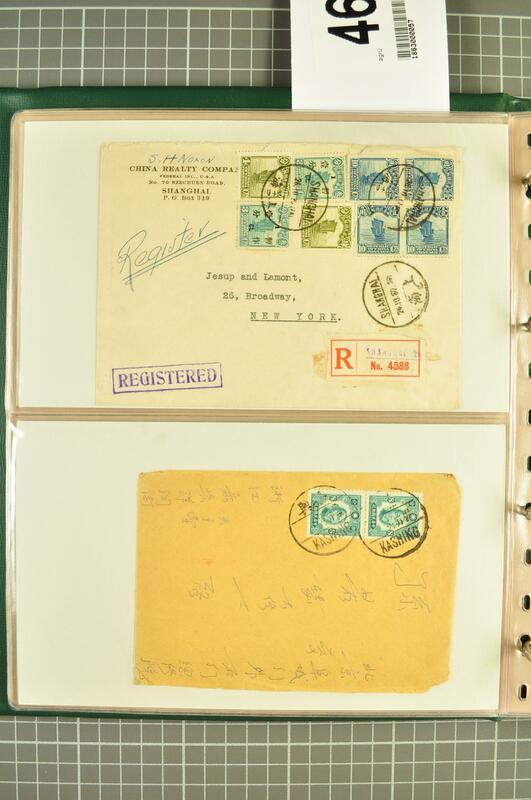 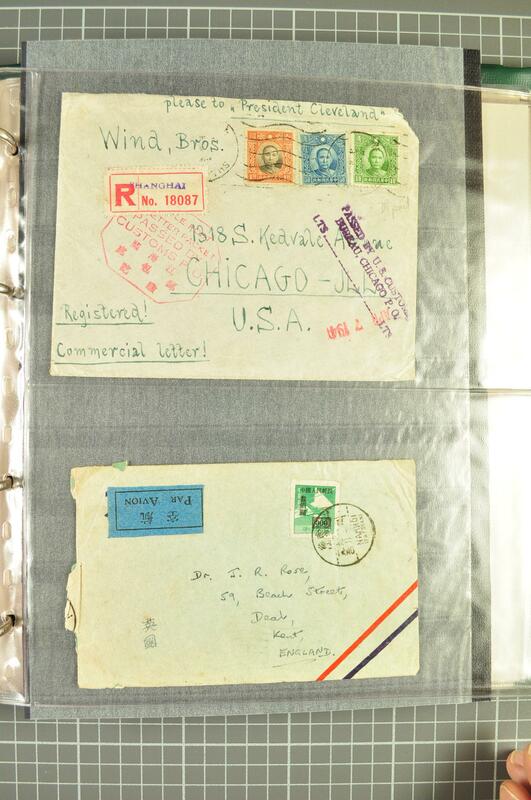 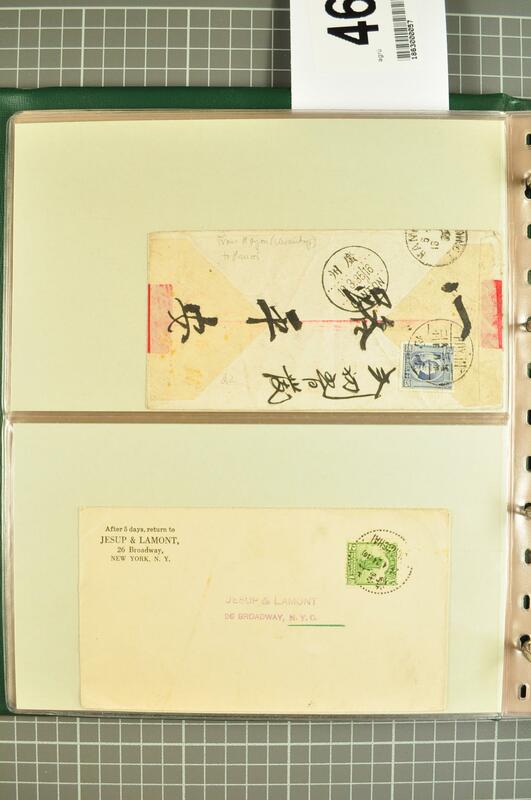 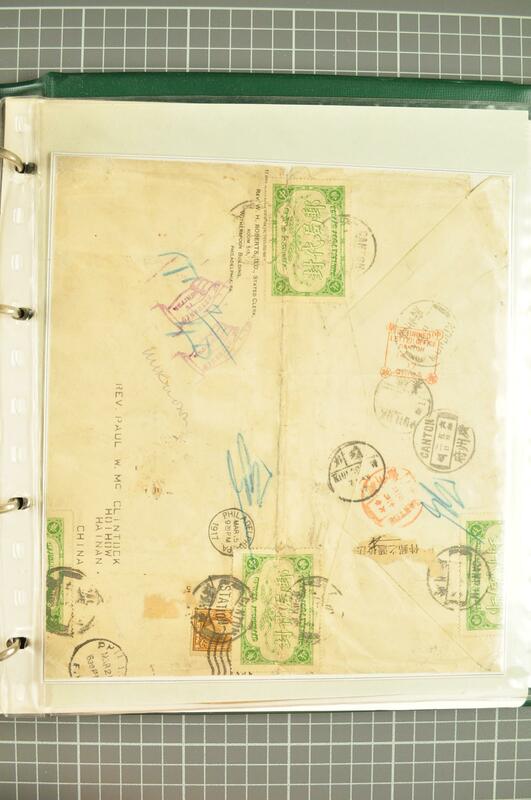 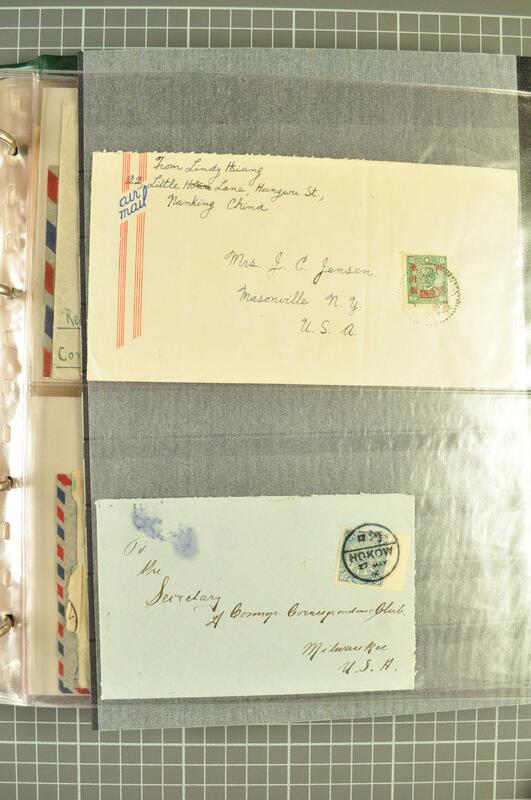 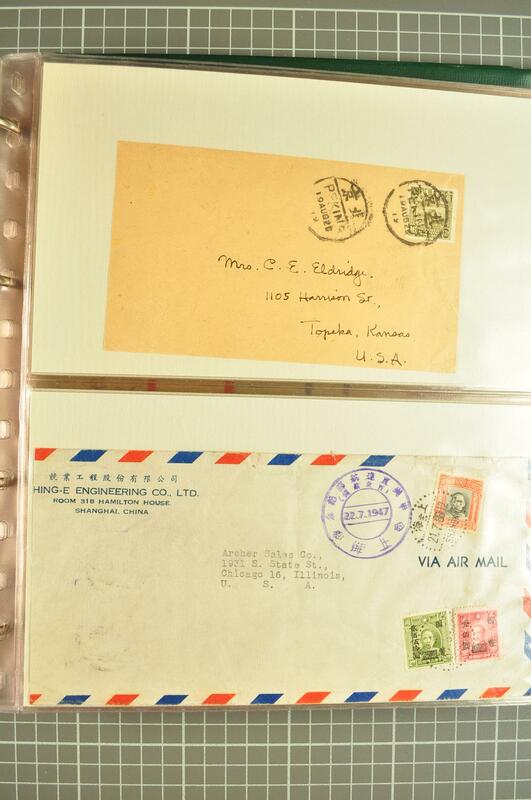 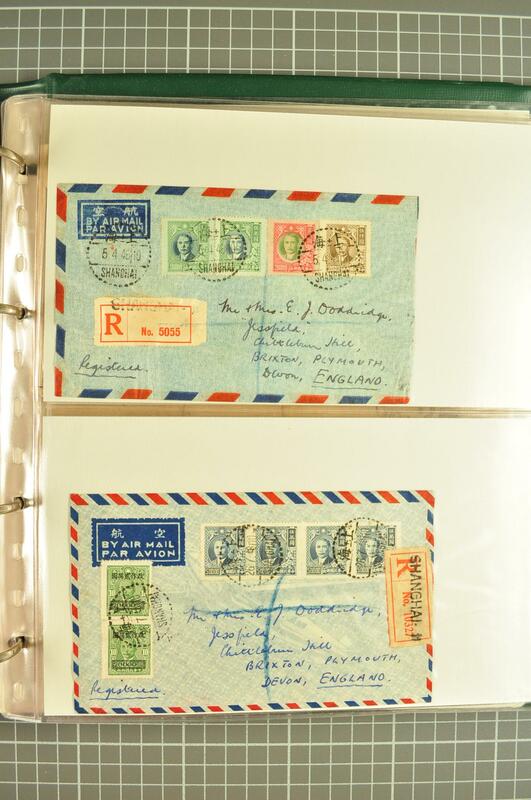 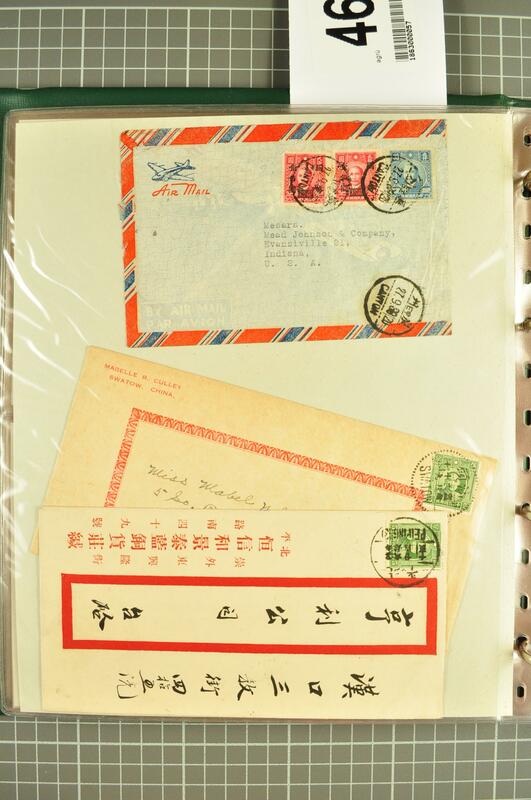 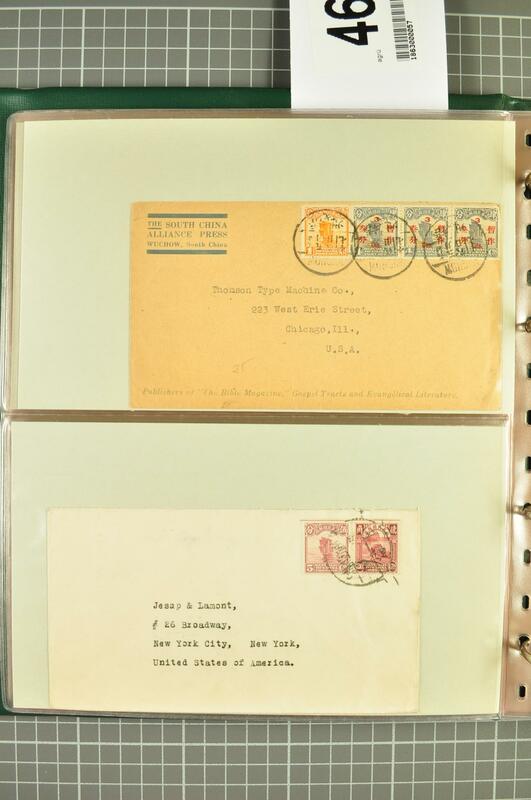 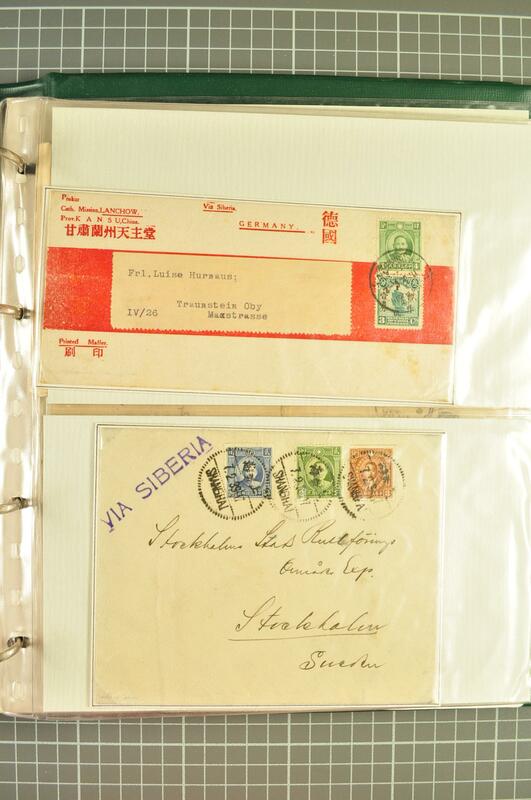 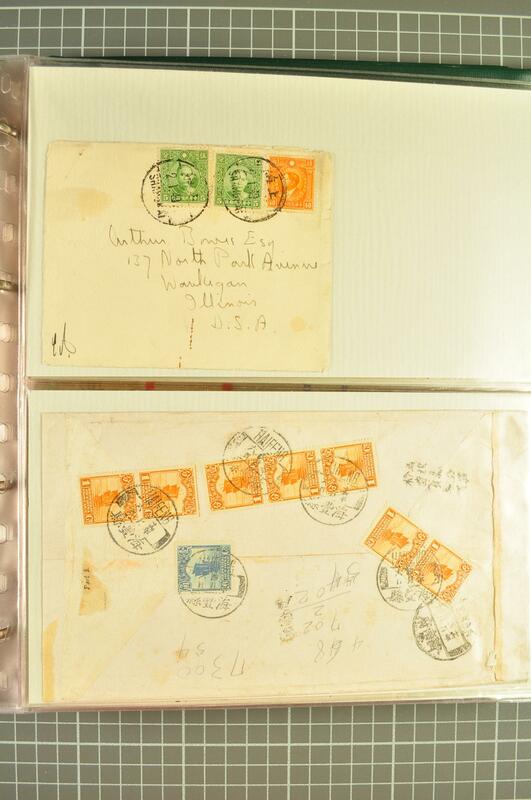 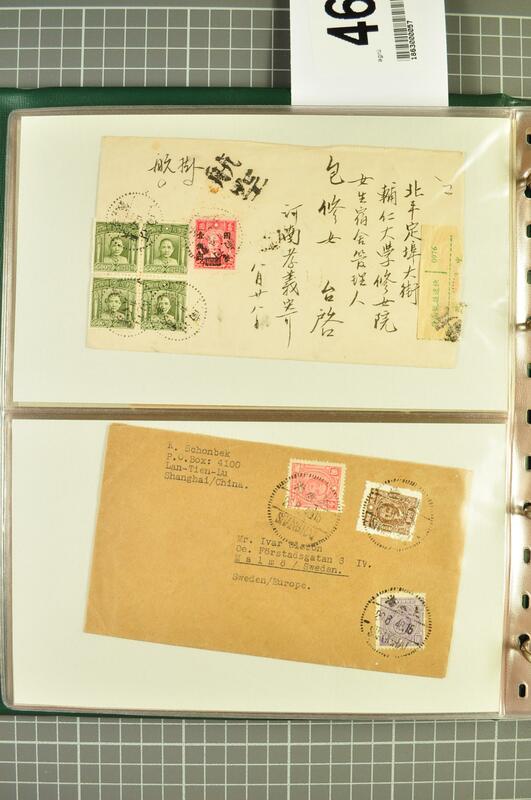 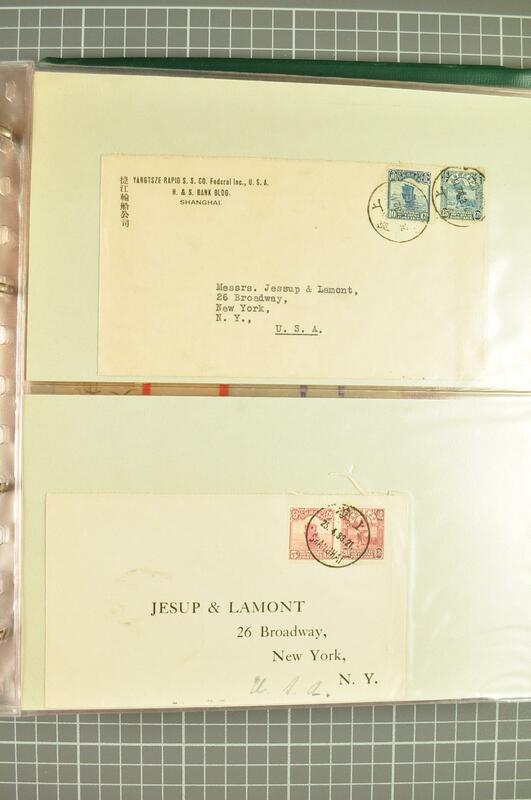 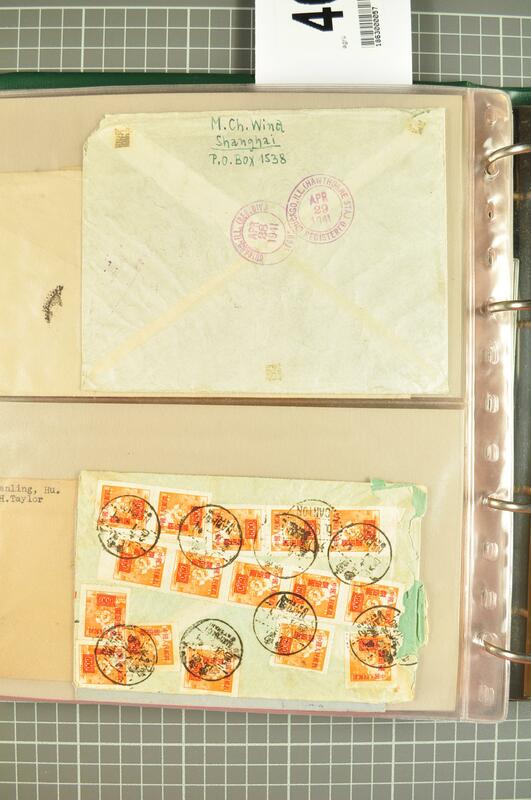 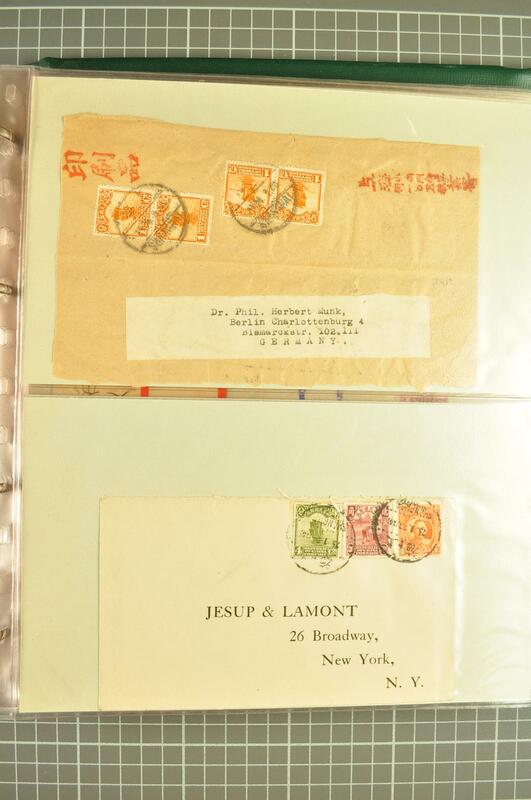 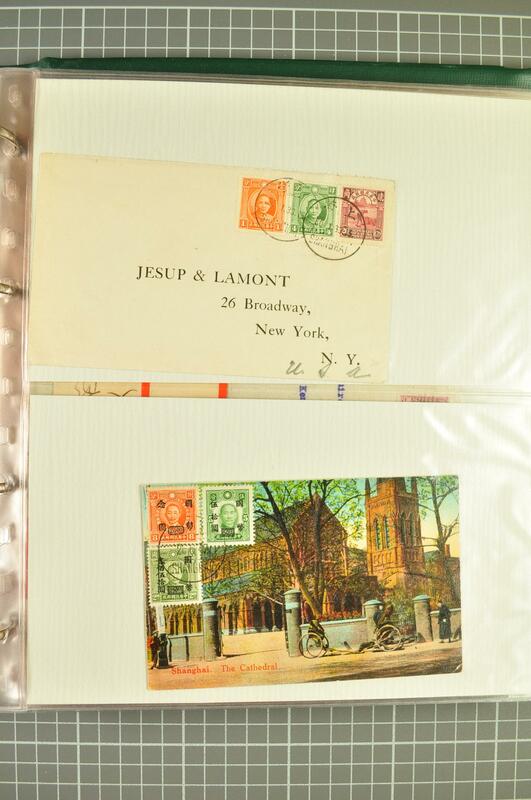 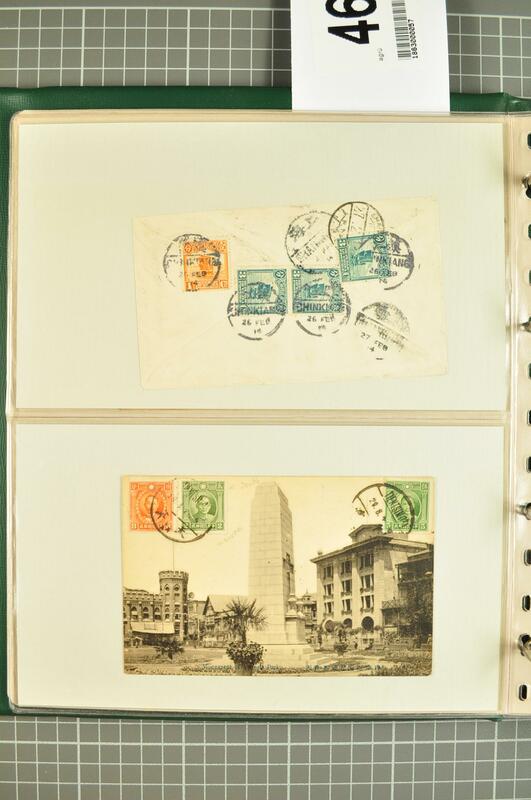 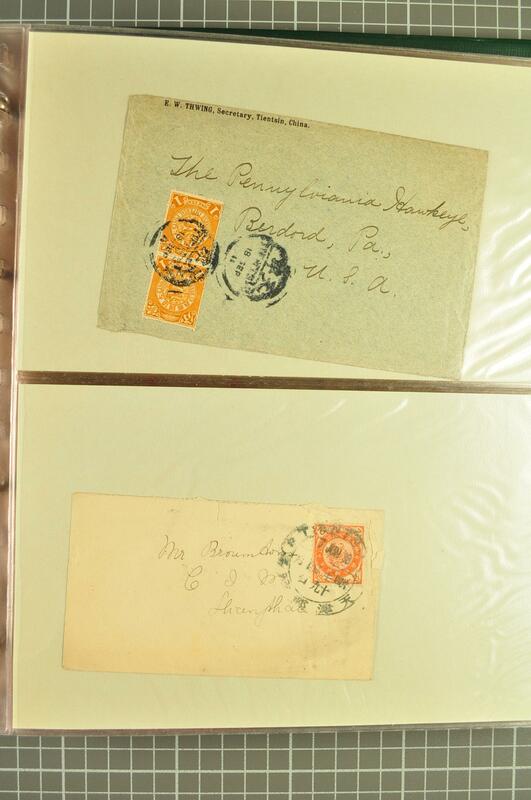 : Postal History collection in a green album with covers/cards (59), incl. 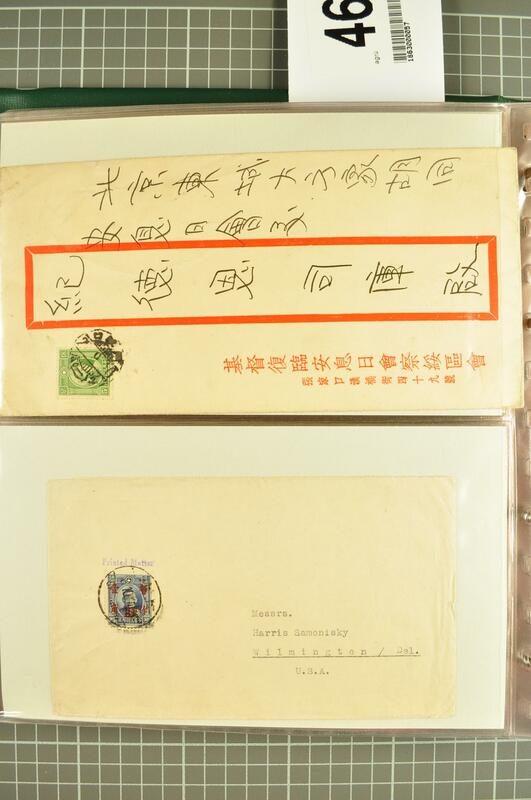 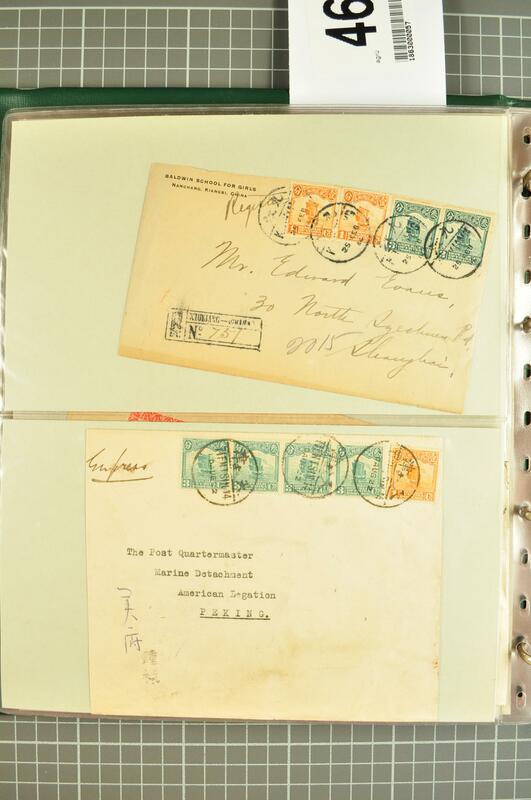 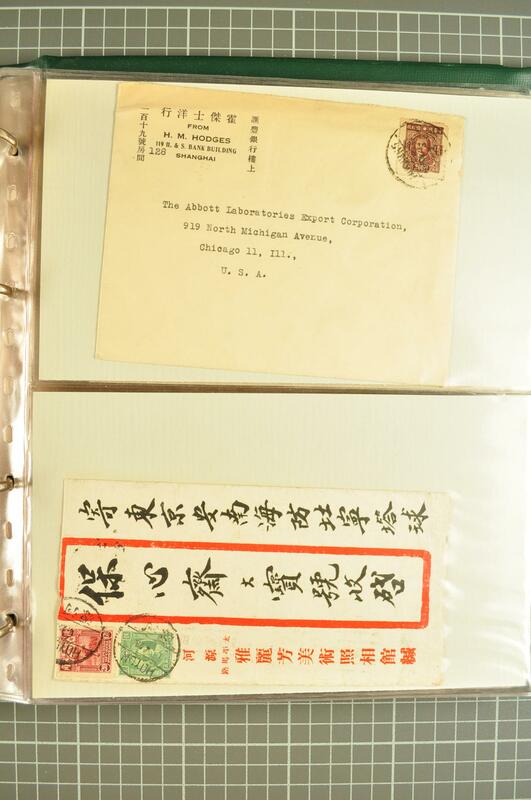 1897 2 c. ICP on cover tied by Tientsin Dollar chop, a few Coiling Dragon frankings, Junk issue covers and through to C.N.C. 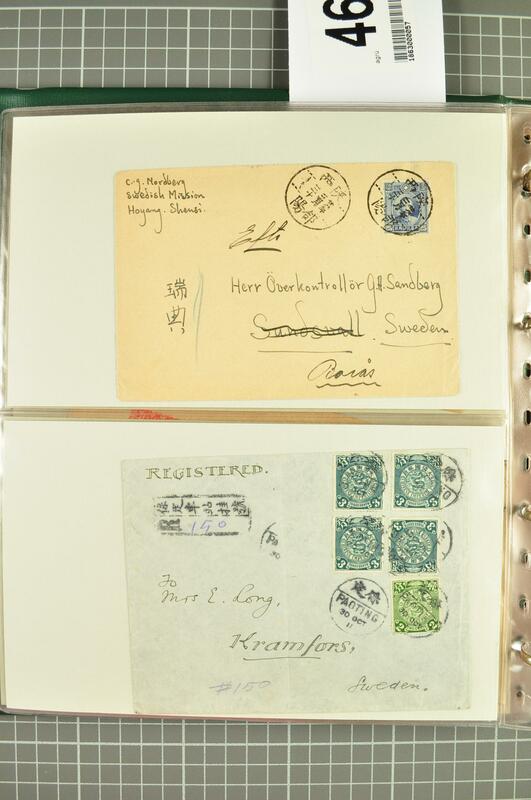 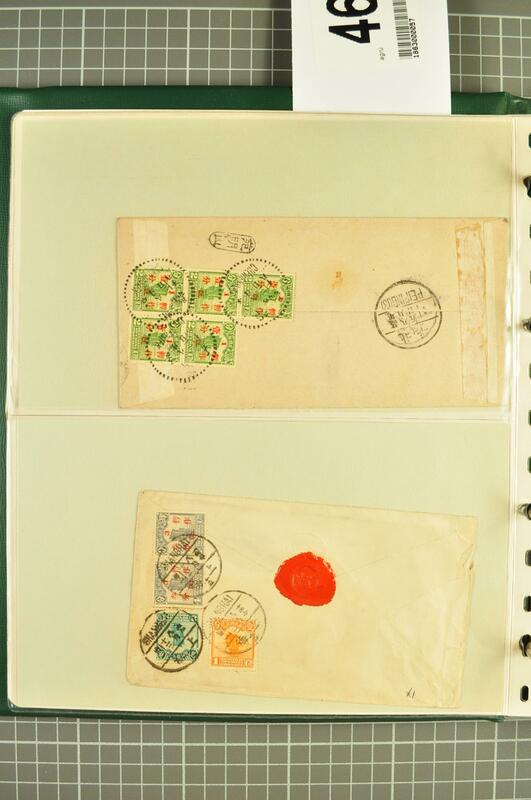 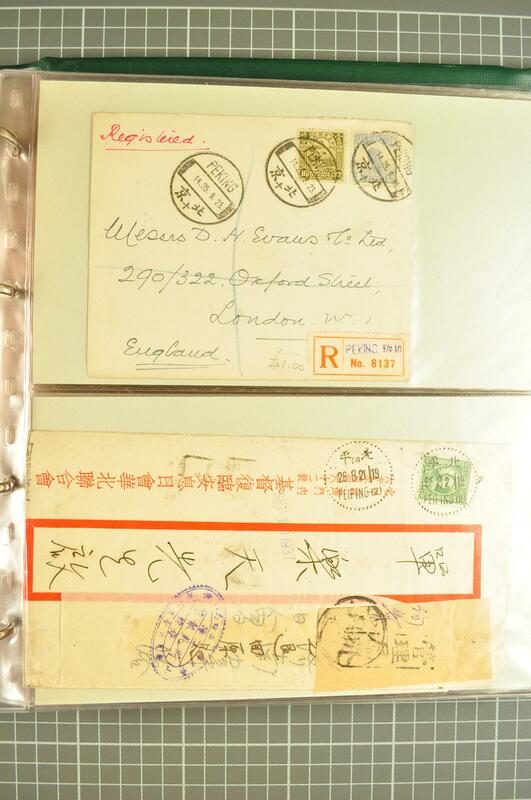 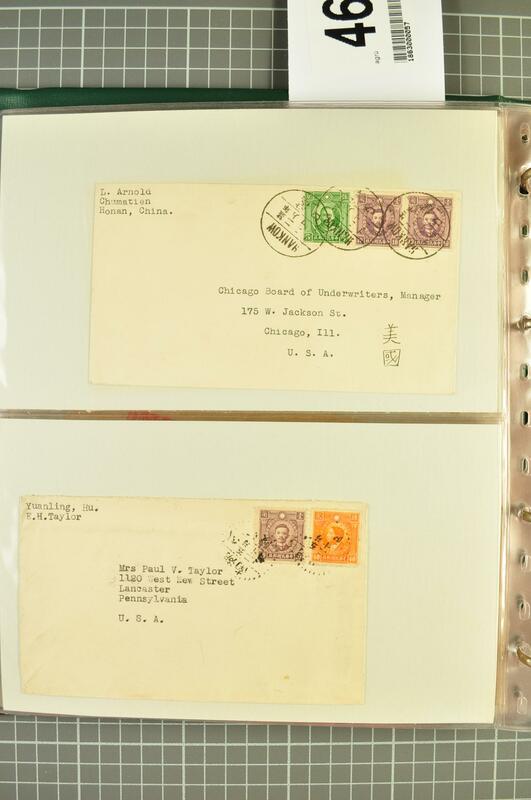 surcharge period, some interesting frankings including 1917 cover from USA to Hoihow with 'Canton / Returned Letter Office' handstamp in red and three "Officially Resealed" green labels. 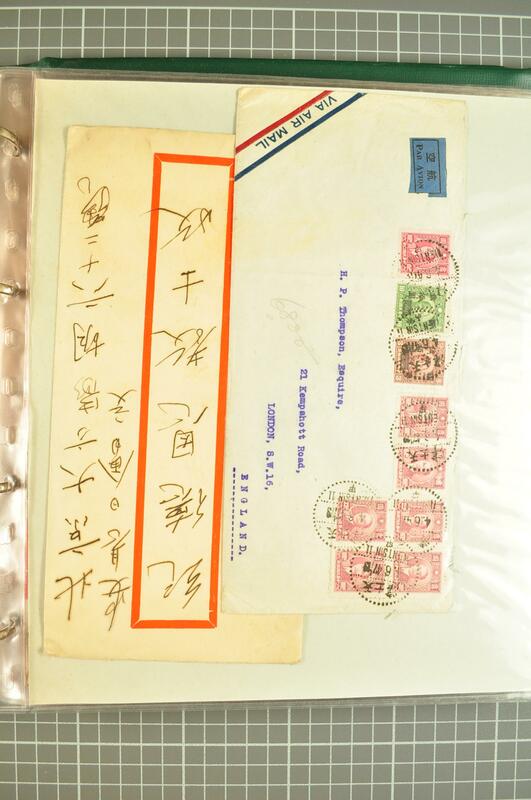 Condition varies but much of interest.